Reduction in joint pain and stiffness by strengthening the muscles supporting the joint. Increased endurance and flexibility of the joint. A regular fitness routine has been shown to lessen the risk of other chronic conditions and promote an overall healthy lifestyle. With additional benefits of better sleep, increased energy and weight control, a fitness routine will minimize the effects of arthritis, as well as prevent other health problems such as osteoporosis and heart disease. If you’re looking to begin a new exercise routine, here are some pointers to guide you in the right direction. Physical activity is anything that keeps you moving. It can include anything from walking around the block, taking a yoga class or gardening. Whatever program you choose, make sure to consult your physician before starting. Remember to start slow and make it enjoyable. 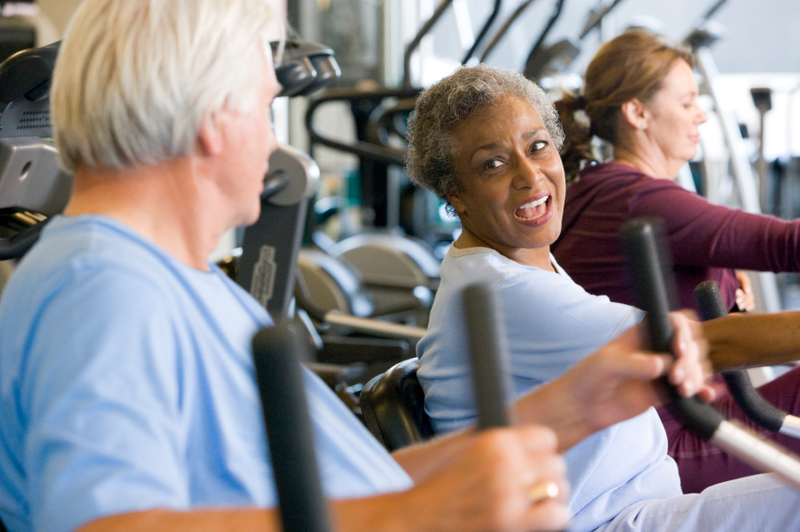 As you consider starting an exercise program, understand your limits and what level of exercise can ease your pain while maintaining a healthy weight. It’s important to integrate flexibility (stretching) exercises into your routine. Once you’re comfortable with basic, functional movements, move on to activities such as weight training and endurance exercises. The goal is to complete a regular exercise program multiple days each week. It’s recommended that you accomplish two and a half hours of moderate aerobic activity every week. A lack of exercise can actually make your joints even more painful and stiff. If you’re reluctant to exercise because of pain, another option is to exercise in the water. Your body’s buoyancy reduces stress on your hips, knees and spine while building strength and increasing your range of motion. Water provides 12 times the resistance of air, meaning you’ll get a thorough, tough workout without the wear and tear associated with traditional exercise. Above all else, remember to keep moving. Any movement, no matter how small, is valuable in managing arthritis.